Fantastic location on Awbrey Butte! 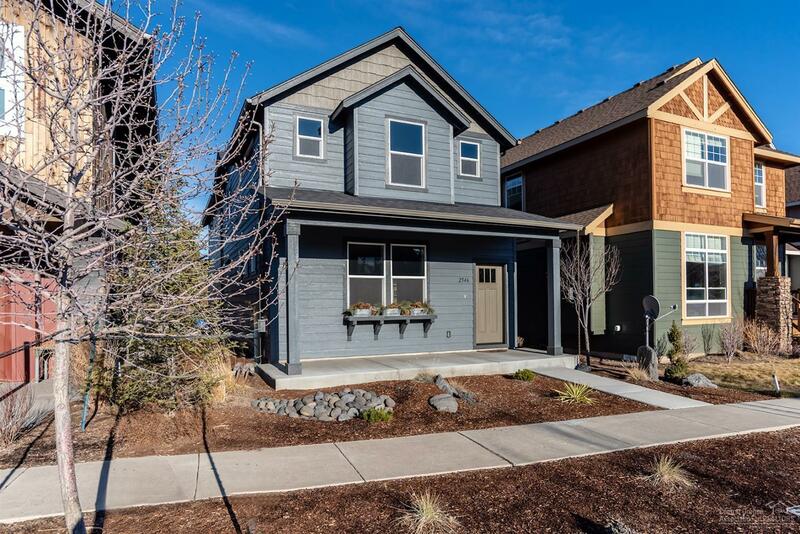 Just minutes from shopping and downtown, this location is prime for the ideal Bend lifestyle. Featuring tall ceiling in the great room with gas fireplace and engineered hardwood floors throughout. An abundance of windows which provides natural light throughout the home. Very spacious kitchen complete with quartz counters, breakfast bar, stainless appliances and pantry. Upstairs there are 4 bedrooms with one having glass french doors that can be used as an office or den. Convenient upstairs laundry and guest bath. Vaulted ceilings in the master suite with private master bath featuring double vanity, walk-in closet and shower. Natural gas forced air with AC. Double car garage with rear alley flat driveway. Low maintenance landscaping and no HOA! This home is ready for its new owner today!